Looking to purchase new windows? There are a few things you ought to know first. 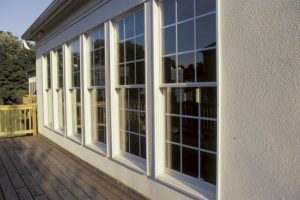 If you are ready to invest in replacement windows, there is a lot to consider. Before you make that choice, some careful research is needed to make sure you are getting the best windows for your needs and home within your price point. To learn more about everything that goes into choosing the perfect windows, read on. Sometimes windows will be marketed as energy efficient, but that doesn’t necessarily mean that they are. The National Fenestration Rating Council is a non-profit organization that rates energy star windows according to a number of features. These include Solar Heat Gain Coefficient, or how a window keeps out heat. The lower the rating, the less heat will be transferred, which is ideal. It’s Visible Transmittance, or also how much sunlight is let in, is also measured. Look for higher numbers in this case. Also look out for its Air Leakage and Condensation Resistance numbers. Remember that no two window models will be the same. How much light and heat enter your home through your windows will ultimately decide how much you will save in utilities. Heating and cooling a home is expensive, and can be even more so depending on where your windows sit in relation to the sun, and whether or not you have any trees or overhangs to keep the light out can also play a role. Getting UV resistant windows can help prevent your carpets and furniture from fading in rooms that get a lot of direct sunlight. Know where the sun rises and sets in your home. There are a vast number of potential window frame materials to choose. All have different pros and cons and price points, and should be chosen according to your needs. For example, vinyl frames are energy efficient and inexpensive, but are generally a weaker material. They expand and contract and deteriorate over time faster than other types of frames might. You can also choose from aluminum frames, composite frames, fiberglass frames, and wood frames. Whether you are looking for a quick fix or something to last years and years, something low maintenance or something classic and elegant, there is something for every taste, need, and budget. This entry was posted on Friday, January 5th, 2018 at 12:57 pm. Both comments and pings are currently closed.